Aamir Khan to buy his mother's ancestral house in Banaras! 'PK' star Aamir Khan turns 51 today, and on this special day he expressed his wish to purchase a house in Banaras. The house which is situated in India's most sacred cities Banaras, is of immense emotional value to the actor and his mother. It is his mother Zeenat Hussain's ancestral home where she has spent her childhood days. The property was discovered by Aamir while on a visit to the city during his film '3 Idiots'. Aamir who was visiting the city in disguise discovered his mother's childhood house. He even spoke to a few people who have been living in the city since his mothers early days. Since the house hosts precious memories of his mothers childhood days it has been on Aamir's wish list ever since his visit. 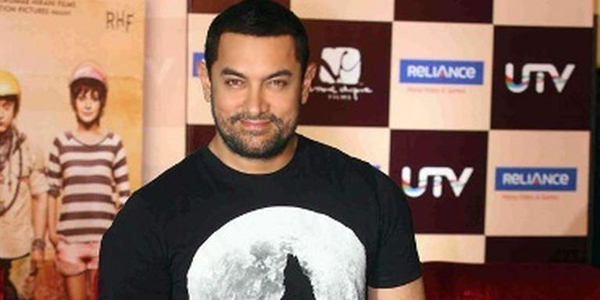 On his 51st birthday today, Aamir is all set to fulfil this desire and has shared his plans to finally buy the house. Aamir Khan says, "I want to gift my mother her childhood home so that she can go back to her childhood days." On career basis, Aamir Khan is currently shooting for his next big project ‘Dangal’ that will hit screens this December. 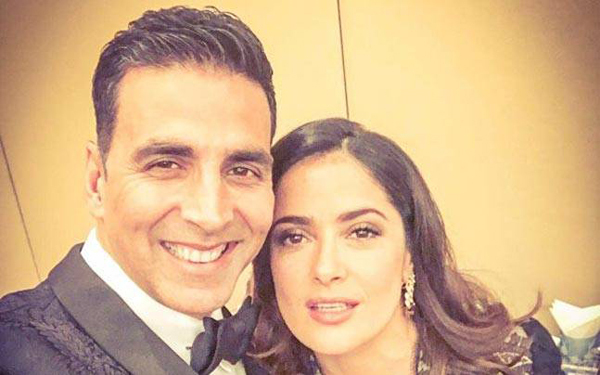 This picture for sure will make you day a good one - Yes it's none other than the most ravishing Salma Hayek and bollywood hunk Akshay Kumar in one frame! Akshay has gone to Dubai to participate in the Teachers Matter and he posted on Twitter a picture with Salma, who is also a part of the event. Akshay captioned the pic saying, 'Selfie of a lifetime... Honouring all the Teachers around the World, #TeachersMatter in Dubai!' This is really A Selfie of a lifetime!! In the picture you can see - Salma is dressed in black and looks super hot, while the Bollywood Hottie glams it great in a tuxedo! On career basis, Akshay will soon be seen in 'Housefull 3' and 'Rustam' that will release this year. Akshay was loved and also received box office success for his performance in 'Airlift'.